When American whistleblower Edward Snowden outed himself in The Guardian newspaper as the person responsible for the bombshell intelligence leaks that revealed top secret US phone and Internet surveillance programs, he explained that he had fled to Hong Kong because they “have a spirited commitment to free speech and the right of political dissent“. But in Hong Kong, some aren't so sure about the government's willingness to have the 29-year-old tech specialist and former National Security Agency (NSA) contractor. Snowden, who has exposed himself to prosecution in the US by revealing his identity, says he is the man who leaked secret documents to British newspaper The Guardian and American newspaper The Washington Post that describe two of the agency's classified spying programs. The Guardian first reported on June 5, 2013 that under a secret court order, the NSA is collecting information on all telephone calls going through major American telecom carrier Verizon. A day later, both newspapers reported that as part of a previously undisclosed program code-named PRISM, the NSA has direct access to the servers of nine major Internet companies, including Google, Facebook, Apple, and Skype, giving the agency the ability to collect emails, search history, live chats, and more from Internet users without having to obtain individual court orders. The companies have denied any knowledge of the program. 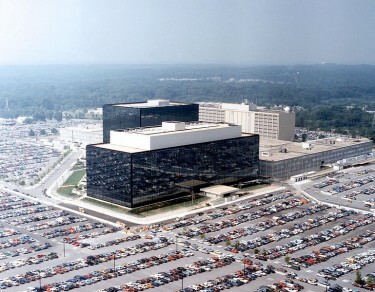 National Security Agency headquarters, Fort Meade, Maryland, USA. Photo via Wikipedia Commons. President Barack Obama and the NSA have defended the legality of the programs. But privacy and digital rights advocates have argued the surveillance violates the US constitution's fourth amendment, which protects against unreasonable search and seizure, and the right to privacy as enshrined by the Universal Declaration of Human Rights. Local politicians in Hong Kong are divided on what to do with Snowden now that he has taken refuge in the city. 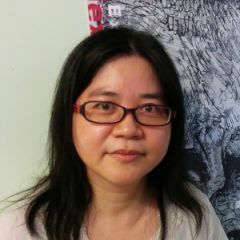 Hong Kong, which is a special administrative region (SAR) of China with its own legal system and a strong tradition of freedom of expression, is a frequent refuge for mainland Chinese political dissidents, despite the Beijing government's growing influence. The head of liberal democratic Civic Party, Alan Leung, responded by saying “we should take [Snowden's arrival] as complimentary”, while pro-government legislator Regina Ip has advised Snowden to leave Hong Kong because the city has signed an extradition treaty with the US. 1. The secret that Snowden has leaked concerns the privacy and rights of all Internet users in the world. The so-called “crime” that he committed is political in nature and the SAR government should offer him protection by rejecting any request made by the US government on Snowden's extradition. 2. Snowden has not hurt anyone. In fact, he has exposed to the world how vulnerable Internet users are and helped the world to develop a better understanding of “cyber-warfare” among countries like the the US, Russia and China. Many Americans see him as human rights defender and the Hong Kong government should withstand pressure from the US and offer him protection. 3. In any case, if Snowden was deported back to the US, he would probably face the kind of torture Bradley Manning did after he leaked the US diplomatic cables to Wikileaks. Manning was arrested 3 years ago and was detained in a eight-cubic-foot animal cage for two months when he was transported to Kuwait. During his nine-month detention at a Virginia marine base, he was put in solitary confinement and exposed to extreme conditions, such as lights on at night, blankets being denied, and naked detention. A top United Nations torture expert said “Manning was subjected to cruel, inhuman and degrading treatment” and “excessive and prolonged isolation”. 4. Snowden believes that this city has upheld the universal value of free speech and will offer him protection. The Hong Kong government should also defend our core value. 5. If the SAR government does not give appropriate protection to Snowden, it will turn itself into the enemy of everyone who believes in democracy and freedom. Many local Hong Kong residents have been skeptical of Snowden's decision, however, suggesting that he should try Venezuela, Ecuador, or even Russia because mainland China's government has too much influence in Hong Kong. China will not jeopardize its relationship with the US by offering protection to Snowden, they predict. When considering personal safety, Hong Kong is not the best choice. However, this may not be his consideration. If he has to defend for refugee status on court, he will have a very good opportunity as our court is very transparent. He has two chances for making an appeal in court and every time it will attract the global media's attention. 1. Hong Kong is the center of international media and has a large number of embassies. He can easily reach out to the English-speaking communities for information and backup. 2. US citizens have 90 days visa-free in Hong Kong. He has enough time to get support. Even if the Hong Kong government has decided to deport him, it won't be difficult for him to move on to a third country as we have many direct international flights. 3. When compared to country such as Singapore, the city has a better free speech environment. 4. Hong Kong has rectified a number of UN conventions, such as the UN convention on Civil and Political Rights, the UN convention against Torture and Other Cruel, Inhuman or Degrading Treatment and Punishment. Finally, the UN High Commissioner for Refugees has an office in Hong Kong.